All personal information given to us through this website will only be held and used with care and in accordance with this policy and the General Data Protection Regulation (GDPR). We will not collect any personal information about you, except where it is specifically and knowingly provided by you, for example when you register as a user of the website or request information or provide us with feedback on the website or provide credit card details to purchase items (credit card details are not stored). When personal information is collected it may be used by us to corroborate your identity and to enable us to provide you with the services we offer through this website and to process and fulfil requests for information or advice as well as to further develop this website to be useful to you and enable us to provide further services on this website in the future. We may share non-personal aggregate statistics (group) data about visitors to this website, use and other traffic patterns with connected, or third parties. 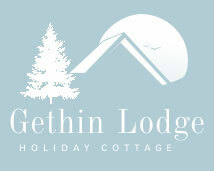 However, we do not sell or share any information outside Gethin Lodge about you as an individual user of this website unless you agree to us doing so. When you view this website by linking from another web page Gethin Lodge may store the name of that web page for the purposes of internal administration and analysis. You can manage these small files yourself and learn more about them through "Internet browser cookies - what they are and how to manage them". 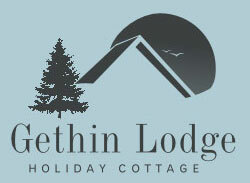 When you click through to any of these websites you leave the area controlled by Gethin Lodge. We cannot accept responsibility for any issues arising in connection with the third party's use of your data, the website content or the services offered to you by these websites. In addition to these policies your personal data is protected in the UK by the General Data Protection Regulation (GDPR). Under this Act we will only process any data we hold about you in a lawful and fair manner. We will keep your data securely to prevent unauthorised access by third parties.